The Reefer / Drugs Week / Politics / Clout City Everyone wants to legalize reefer—except for people with the power to do it! 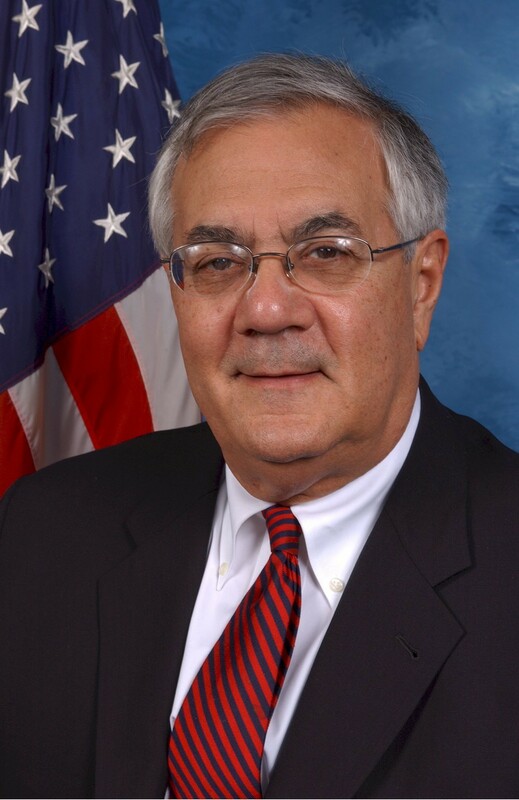 In honor of Drugs Week at the Reader, Congressman Barney Frank blasted President Obama for being such a wimp on the whole issue of marijuana. Well, I think the timing's a bit of a coincidence. Not even sure Congressman Frank knows it’s Drugs Week at the Reader. Though I bet he's a big fan of the Reader. As opposed to Mayor Rahm. And Mayor Daley. And a few aldermen, who aren't worth mentioning at the moment. But let's not go on a tangent. Specifically, Frank criticized Obama for making a "'grave mistake' by cracking down on medical marijuana dispensaries that are legal in some states," according to an article in the Hill. "I think it's bad politics and bad policy," Frank said. "I'm very disappointed." Bravo, Congressman Frank. I wish you would stay around for a few more terms. His criticism follows that of Steve Huntley, a conservative columnist for the Sun-Times, who criticized Obama for continuing the war on drugs. And Huntley followed the Reverend Pat Robertson who blamed liberals in general for perpetuating the drug war. Bravo to Huntley and Robertson, as well. Though I wish they'd be as hard on Republicans as they are on Democrats when it comes to marijuana. I mean, to hear Huntley and Robertson you'd think it was liberal Democrats in general—and President Obama in particular—who were keeping marijuana illegal. As opposed to lock-'em-up Republicans, who’ve been blasting Democrats for being soft on reefer since Merle Haggard wrote "Okie From Muskogee" way back when. "We don't smoke marijuana in Muskogee / We don't take no trips on LSD . . ."
The sad reality is that the president is so intimidated by the GOP attack machine, so afraid of being called weak on crime, that he won't dare raise the issue of legalization or decriminalization. Worse, he'll look the other way, while the government he runs tries to throw even medical marijuana dispensaries into jail. When it comes to legalizing or decriminalizing marijuana, the best you can get from a mainstream Democratic politician is a vague promise to look into it once the next election cycle's over. And since the election cycle never really ends, the madness continues. Here in Chicago there was a small push for decriminalization last year—most of it coming from Cook County board president Toni Preckwinkle and Cook County commissioner John Fritchey. But as soon as Mayor Emanuel sensed they were getting some press on the issue, he had Alderman Danny Solis steal the issue. Solis crashed Fritchey’s press conference to tell reporters he would introduce an decriminalization ordinance into the City Council. The press conference was in October. Neither Solis nor Emanuel has had much to say about the issue ever since. In the meantime, Mayor Emanuel gets to pretend he's tough on crime as police throw black people into jail for doing the same things that the white people in the mayor's north-side neighborhood pretty much do every night—smoking reefer. Legal for whites, illegal for blacks, and a big waste of tax dollars to all—just thinking about our insane marijuana policies makes me want to get high.